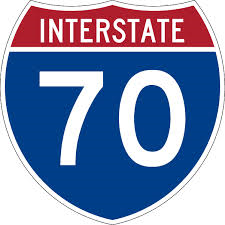 (Preble County, OH)--A fire truck was involved in an accident on I-70 in Preble County Thursday night. Firefighters had responded to an area of westbound 70 near the Preble-Montgomery County line at 8:45 Thursday night for a rollover crash. A fire truck had parked on the side of the interstate and was struck from behind by another driver. No firefighters were hurt. The driver of the car that struck the fire truck sustained non-life-threatening injuries. The fire truck was from Brookville and sustained heavy damage.